You might remember Elizabeth Gilbert from the famous book “Eat, Pray and Love”. It was one of the bestsellers and rightly so. 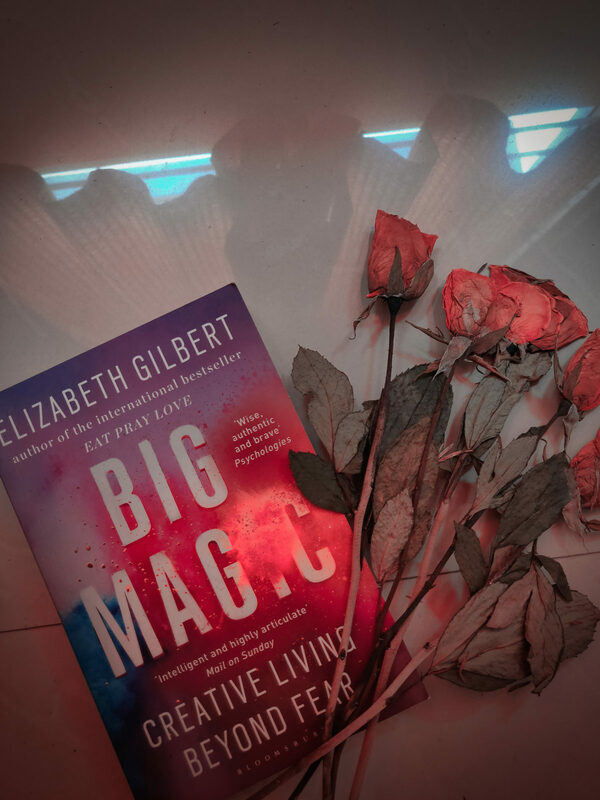 Talking about Big Magic, this book came as a recommendation in one of the book recommendation threads on Twitter. I took the plunge, totally because I had loved “Eat, Pray and Love”. “But to yell at your creativity, saying, “You must earn money for me!” is sort of like yelling at a cat; it has no idea what you’re talking about, and all you’re doing is scaring it away, because you’re making really loud noises and your face looks weird when you do that.” This is to all the people who start something with the intention of making money and not because they enjoy the creative process of it. Be it blogging or YouTube the first question that is on everybody’s top of the head is how soon we can make money out of it. You should never start something with the intent of making money. With time and with your consistent efforts (because your heart and soul is in it) money will make its own way. “Your creative work is not your baby; if anything, you are its baby”. This fact was a big reveal for me. There have been so many instances when I have called my blog as my baby but it was after reading this book I realized its actually the vice versa. Read the book to know exactly why this is the case, trust me you will be convinced in no time. While I liked the book but it comes with its own set of flaws. I didn’t quite agree with the part where Creativity is defined as a type of religion. Religion doesn’t seem to be a right word here. Also throughout the book, Elisabeth refers to many of her famous friends and proceeds with the story by explaining their creative journey. It seems organic in the beginning but after a point, it became trite and repetitive. The above flaws are minuscule as compared to the creative wisdom that the book has imparted in me. Every time I am creatively distracted I just pick this book and randomly read any chapter. The chapters aren’t dependent on each other so any randomly selected would make all the sense in the world. It basically gives you what you are seeking in the creative world. I recommend this book to everyone irrespective of your field or work. I am going with 4/5.